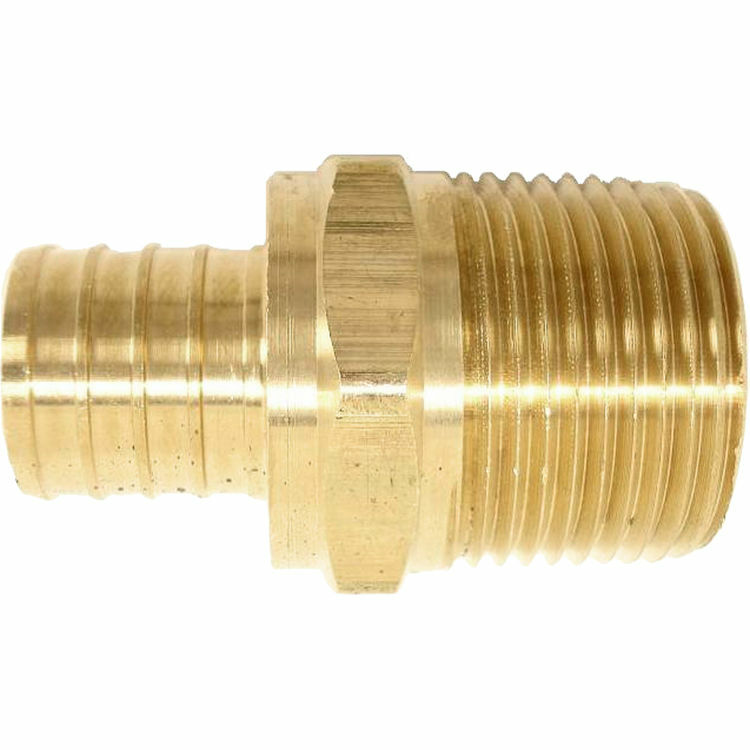 3/4" PEX Male Adapter is a fitting with a PEX connection on oneside and a male threaded connection on the other. Barbed connection on one end. Male threaded connection on other. Has a nut-like construction allowing for tightening with a wrench.